Vor wenigen Minuten wurde das neue Zuhause der Franzosen bekannt gegeben. Kurz nach dem Sieg auf den MLG X Games Aspen nehmen die Verantwortlichen von Team Envy die Jungs unter Vertrag und will gemeinsam in die Zukunft starten. Bislang war die Organisation für ihr Engagement im Call of Duty-Bereich, doch nun wagt sie den Schritt in Counter-Strike: Global Offensive. This is an exciting day for our organization and fans. My involvement in eSports has now spanned a decade and I will say that it is rare to find a unit as quality as the one we have just brought to Envy. To say this team is impressive would be an understatement. I couldn’t be more happy to have them wearing Envy Blue and our intent is to help them continue to progress not only as individual competitors, but also as the great team they have come to be. We are extremely proud to partner with EnVyUs. I have personally known Mike for 6 months, and it’s without a doubt that I believe this choice was the best for both parts. What nV offers us is immense while providing us the liberty to develop ourselves as freely as possible. Our team is more than ready to dedicate our time 100% to provide this new home all the titles it deserves. It is time to write a new chapter in CS:GO history. Erst im September letzten Jahres hat die französische Organisation das Team Mercenary verpflichtet. Unter der Flagge der neuen Organisation konnte das CS:GO-Lineup mehrere Erfolge erzielen, zuletzt der Sieg im vierten Major-Event: die DreamHack Winter 2014 in Schweden. Auch in unserem Teamranking steht das französische Team auf dem ersten Platz. Die Spieler haben soeben auf ihren Social-Media-Plattformen die Trennung von der Organisation bekannt gegeben. Anscheinend sollen sie ein neues Angebot erhalten haben, welches sie nicht missen möchten. Dies bedeutet ebenfalls, dass die Organisation LDLC.com nun ohne CS:GO-Team da steht und sich wohl nach einem neuen Team bemühen muss, welches in die Fußstapfen von shox und Co. tritt. Created in September 2014, our Team-LDLC CS:GO imposed themselves among the best teams in the world. Our players flew the flag of our structure on the highest podium steps and reached the top with their wins at Dreamhack Winter 2014 and at the Winter X-Games. As any team that stands out, they have recently received a subsequent proposal from overseas that, despite our efforts, we could not compete with. Consequently, we are sorry to announce the departure of Vincent « Happy » Cervoni, Richard « shox » Papillon, Fabien « kioShiMa » Fiey, Nathan « NBK » Schmitt and Edouard « SmithZz » Dubourdeaux. We support our players in their decision and wish them to continue their rise. 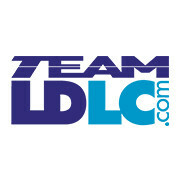 Team LDLC.com has always aimed at keeping the Counter-Strike scene going and does not intend to step down from competition. The entire structure will take benefit of this change to discover new talents once again. During the French scene shuffle, our objective was to reach the highest level in CS:GO. We gathered the player to fullfil this goal, and Team-LDLC was able to give us everything we needed to focus 100% on the game. We developped a very good relationship with the directors of the project, and it is with many thanks that we leave the adventure today. We received all the support and the means to grind higher and higher, while giving us a complete liberty in and out of the game. We also had the chance to be coached by MoMaN, an unique guy who was able to give the team a real alchemy, helping us through many tough choices, and giving us the tools to step up from tough situations. It is obvious to say that they had a big role in our success, and we are proud that we were able to share all these moments with them. However, we decided to have a fresh air and starting a new adventure in another project, after a fiew days of negociations. On behalf of my 4 teammates and myself, I would like to thank once again Team-LDLC for their support, and I wish them the best for all the projects they will be a part of within eSports in the future! soviel dazu :O is schon überraschend, is schon wieder team lotto? einer anderen Organisation erhalten haben, welche wohl in der kommenden Woche vorgestellt werden soll. "Anscheinend sollen sie in neues Angebot erhalten haben"
[quote=sn0w-]für mich sieht das eher nach Epsilon aus :D edit : okay nachdem Twitter Eintrag von EG - wirds wohl doch EG :D[/quote] Welchn post meinste ?